There’s a lot of talk that Iran can’t be trusted to obey the deal they struck last week with the United States and five other nations concerning their nuclear program. 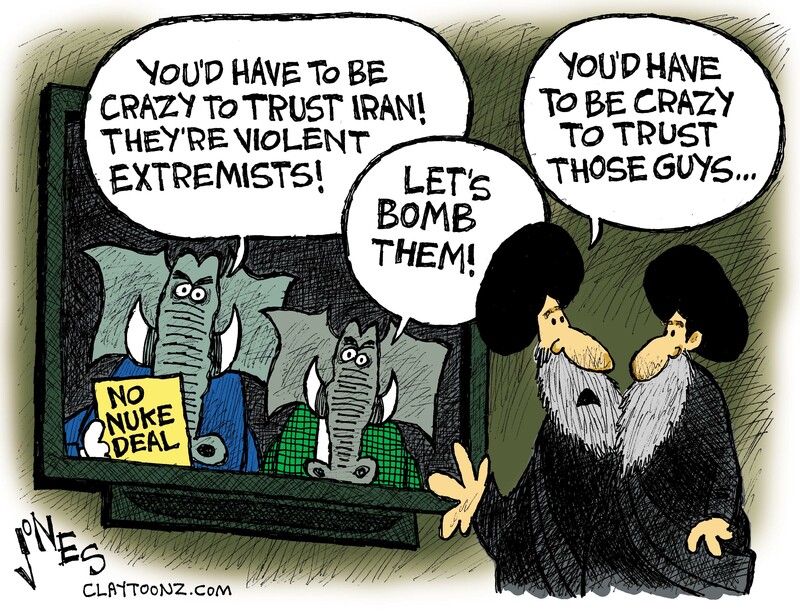 If the Republicans destroy the deal then the United States will be the nation that can’t be trusted. Why would any nation ever negotiate anything with us ever again? Yes, Iran has made a lot of talk about destroying Israel. Meanwhile many Republicans keep talking about bombing Iran. 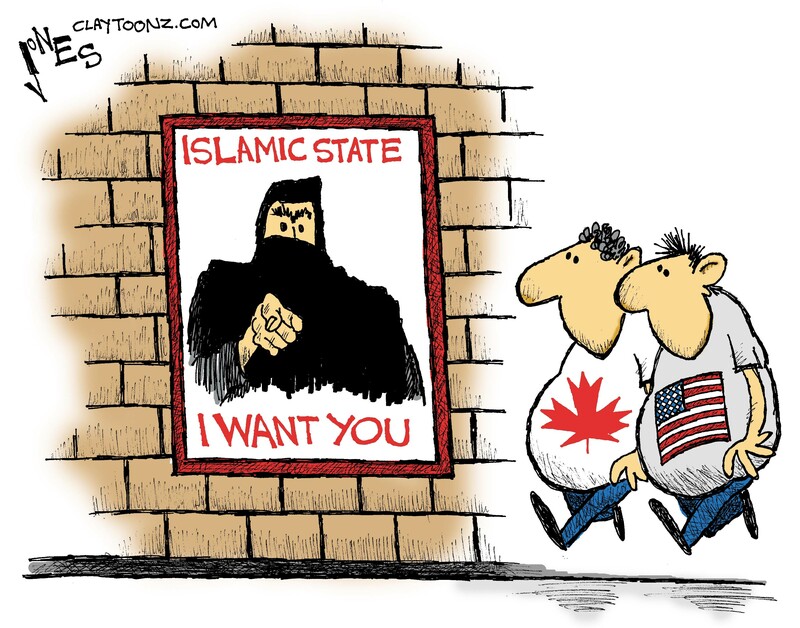 There are extremists in both countries. While Iran has financed terrorism and insurgencies in the Middle East, which country was the most recent to wage war in that region? Which country reestablished diplomatic relations with Libya a couple years before supporting a revolution in that nation? Let’s not forget the CIA’s involvement in a coup in Iran in 1953. We might wanna stop talking about who can be trusted. Benjamin Netanyahu has been saying Iran is a year away from having a nuclear bomb since the early 1990’s. He also warns of a Middle East arms race if Iran has a nuclear weapon. Meanwhile Israel is sitting on how many nuclear weapons? Which nation in the Middle East helped South Africa develop nuclear weapons? I’ll give you a hint: It rhymes with Shmisrael. Israel has also helped itself to bombing Iraq and Syria in recent history. There are extremists in Iran that want a fight. There are extremists in the U.S. and Israel who also want a war. Netanyahu wants the United States to bomb Iran. Netanyahu acts like the U.S. shouldn’t have a say in a nuclear agreement with Iran unless it’s exactly the way he wants it (which is no agreement). Seeing that the United States gives Israel $3.15 billion a year for defense, we have every right to have a say in a nuclear treaty. The situation isn’t as bad as the right presents it. It could be worse. We could have a Republican president secretly selling weapons to them.